Haystack on Morning is a contemporary 12"x16" Watercolor on 140 lb. Arches cold press paper. (See wall preview option below and select your room type and size preference to get a better view in relation to the art). 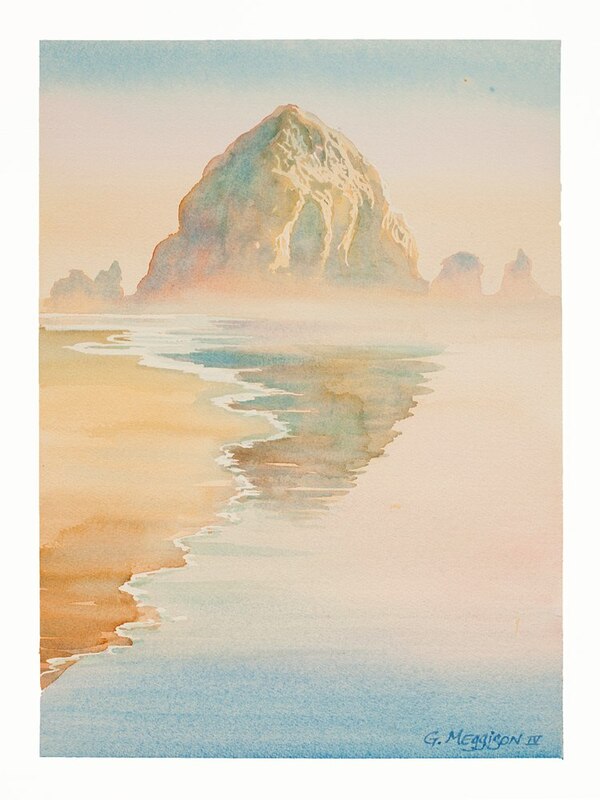 Haystack on Morning is a contemporary 12"x16" watercolor of one of my favorite spots on earth, Cannon Beach Oregon. 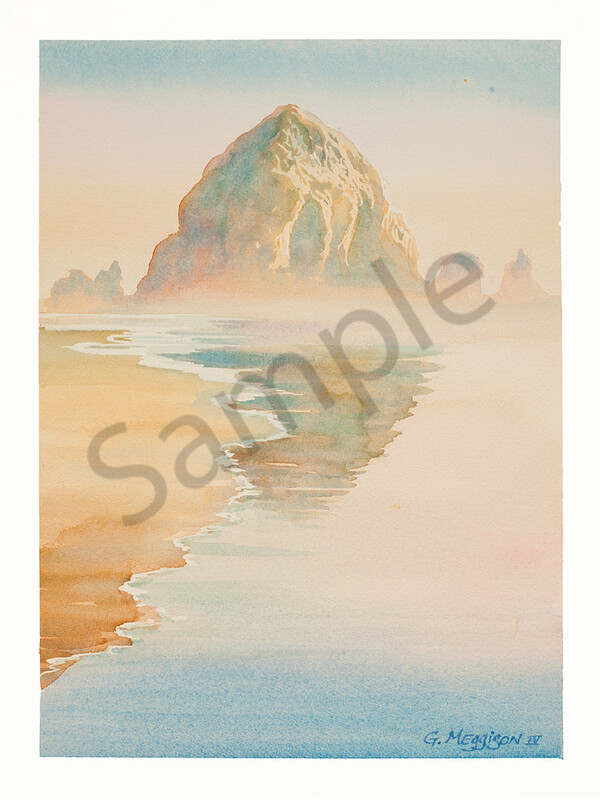 This was the foggy morning commonly seen around the Haystack rock there, I could have just as easily called this "Avalon"! (See wall preview option below and select your room type and size preference to get a better view in relation to the art). Haystack on Morning is a contemporary 12" X 16" watercolor on 140 lb. Arches cold press paper. (I recommend printing on Fine Art Paper. See the "Wall Preview" option below the print size tab, then explore your designer wall color with the art). Haystack is one of my favorite spots on earth, Cannon Beach Oregon. This was the foggy morning commonly seen around the Haystack rock there, I could have just as easily called this "Avalon"! (I recommend printing on Fine Art Paper. See the "Wall Preview" option below the print size tab, then explore your designer wall color with the art).